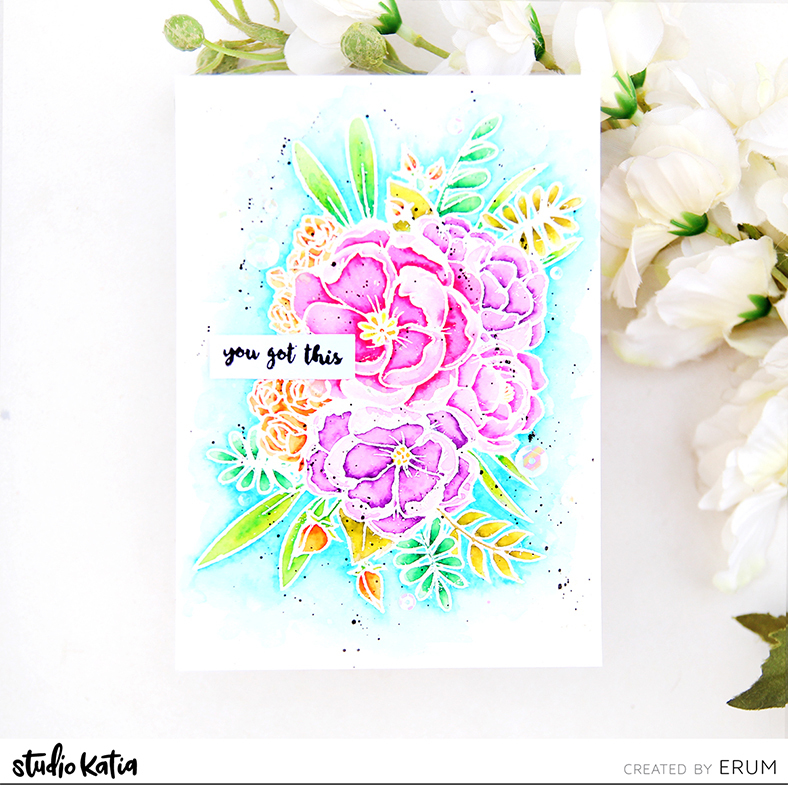 Welcome to Studio Katia and Marvi Uchida Collaboration Blog Hop. 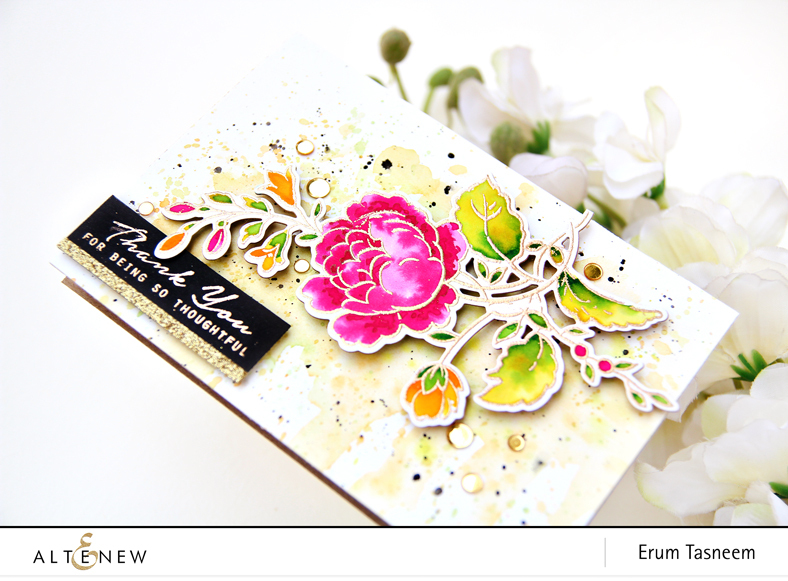 For my card, I have used Lovely Blooms Stamp Set and Marvy Uchida Le Plume II markers. 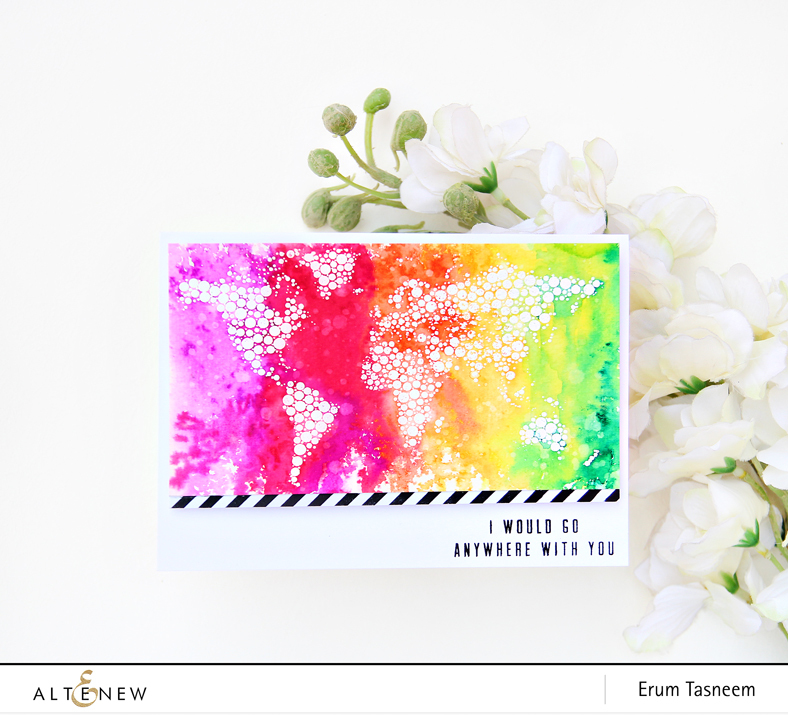 They are super vibrant markers, of course, I went for the Brights! They are on sale at the moment so hurry up and grab one for yourself! 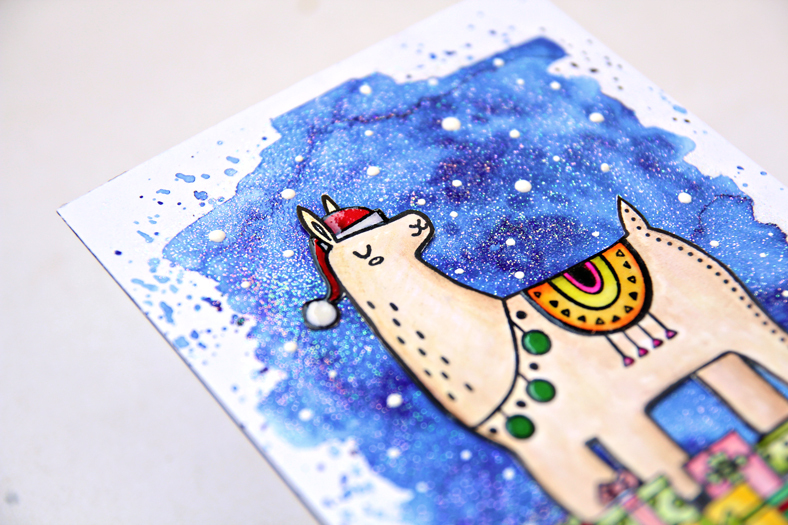 This was such each watercolouring, and I love the result. I used very little colour and still, it turned out so vibrant and colourful! 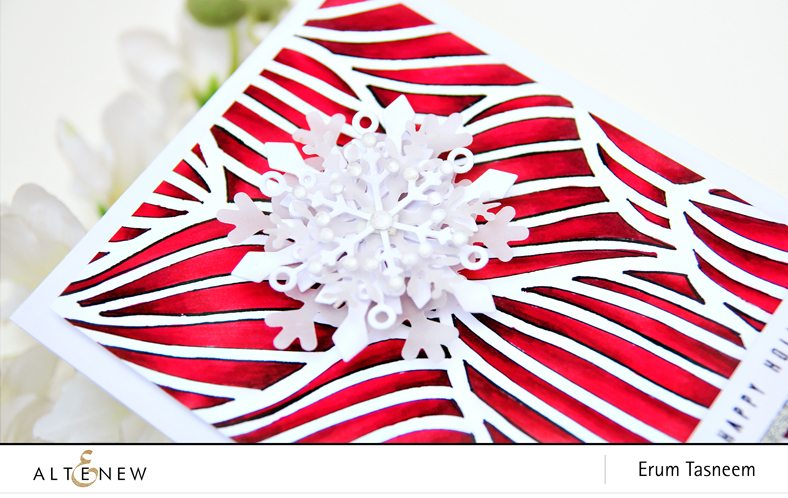 I heat embossed the image in white and then added outlines with the markers. 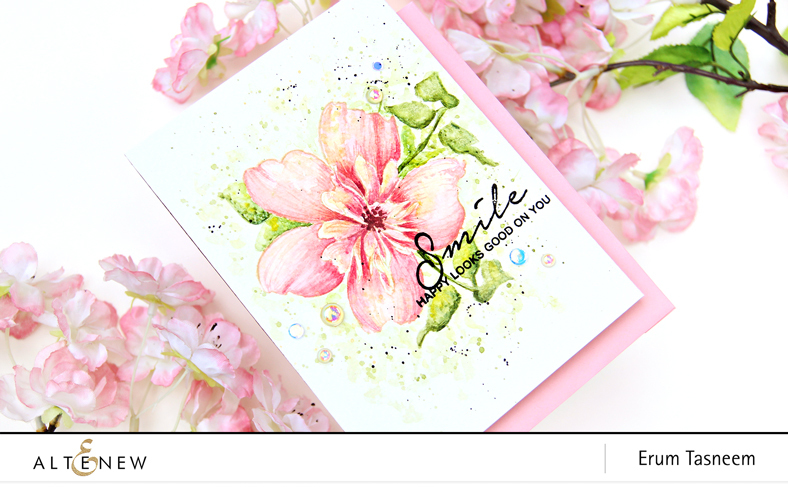 With the help of a water brush, I spread it around the whole petal! There are prizes!! Marvy Uchida has a surprise package for you! 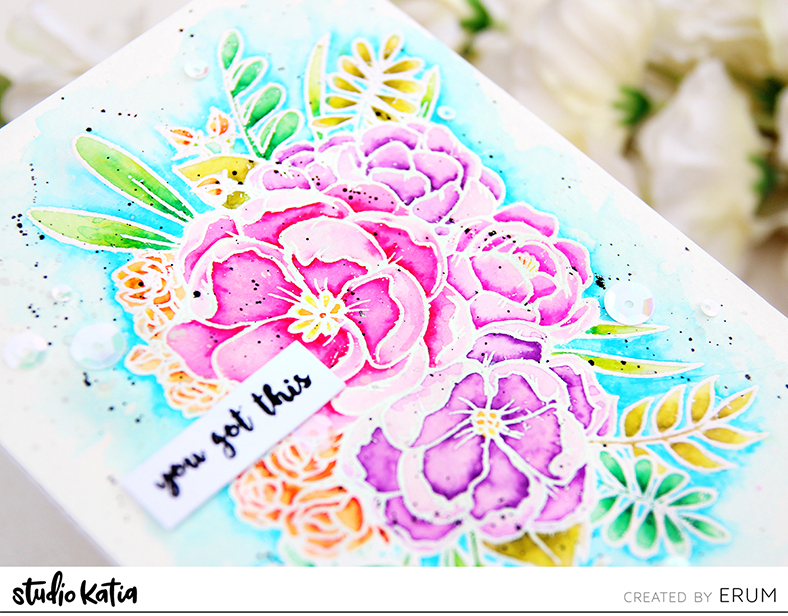 You have to stop by the Studio Katia blog to see how to enter! 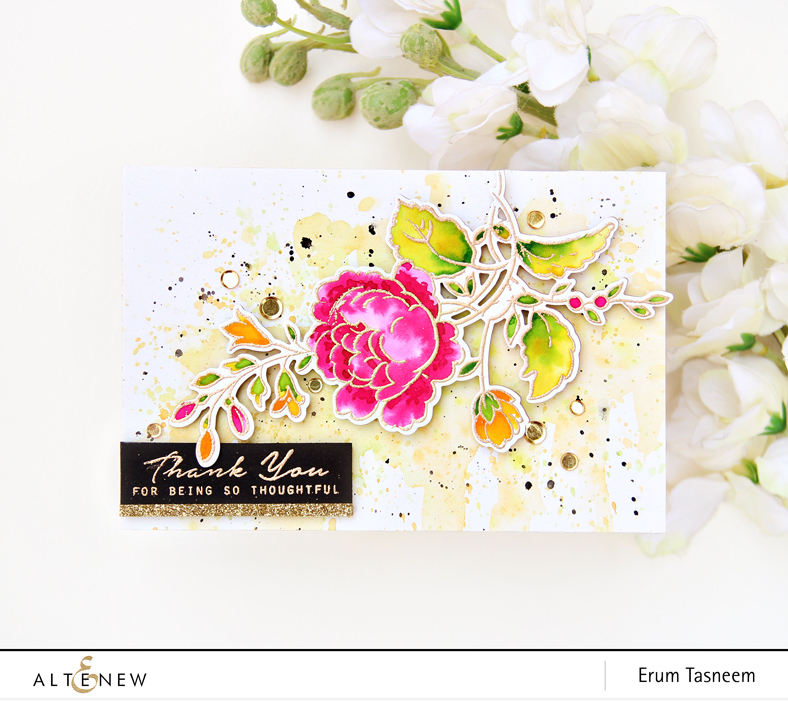 I have a new video to share at the Altenew blog. 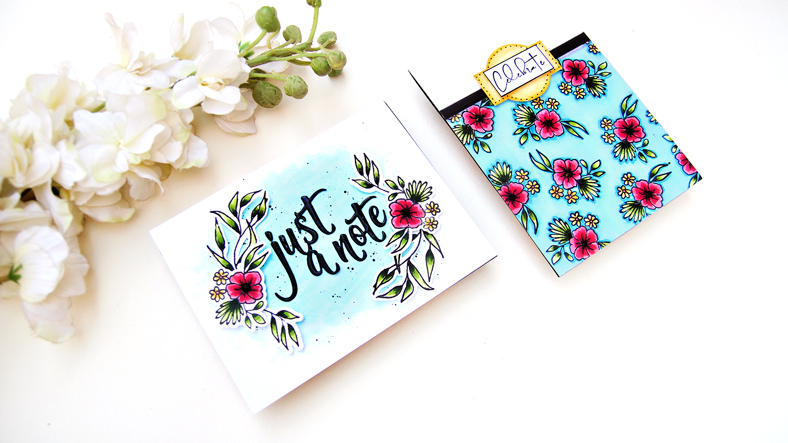 I am sharing a layout at the Papericious blog. 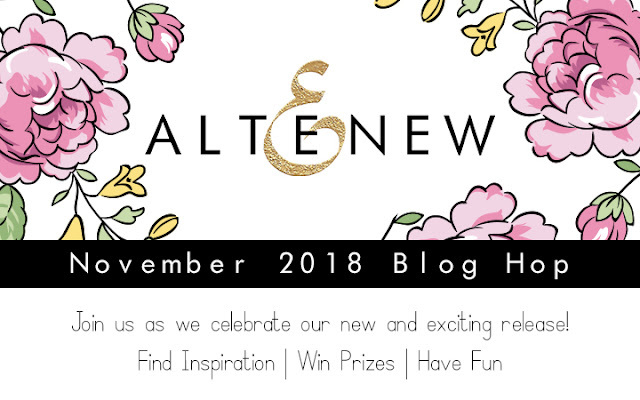 Here to announce the winner of $30 gift certificate to the Altenew store. 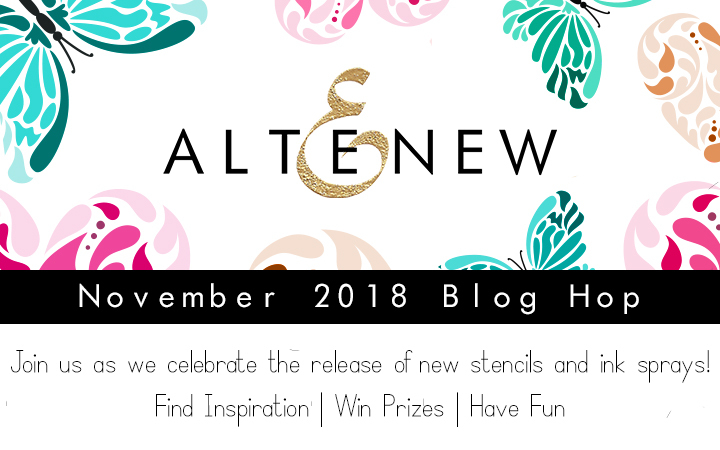 Please email winner@altenew.com by 12/15/18 to claim your prize. 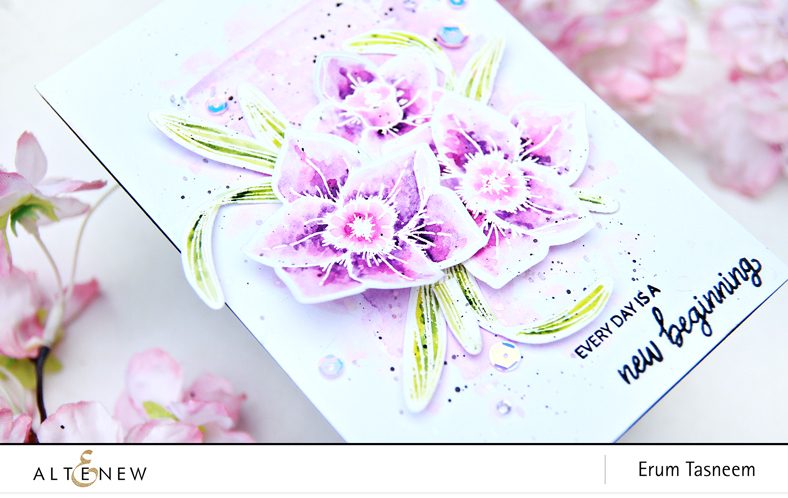 I am sharing two cards on the Pinkfresh Studio blog and I have a process video too!! 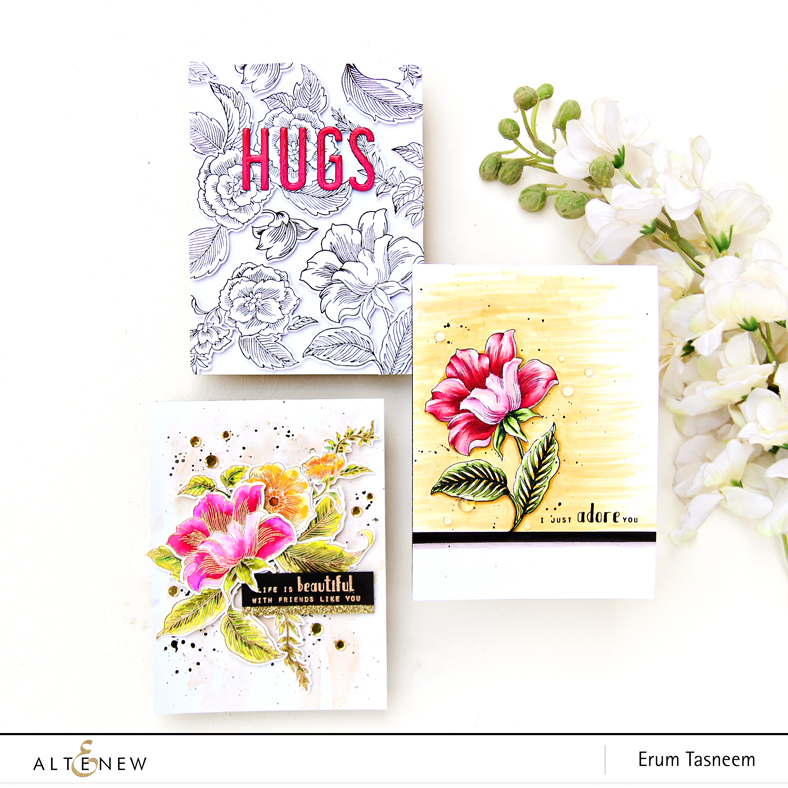 On the Altenew blog today, I am sharing three cards and a process video! So much packed into one video! GO WATCH! Please email winner@altenew.com by 11/15 to claim your prize! 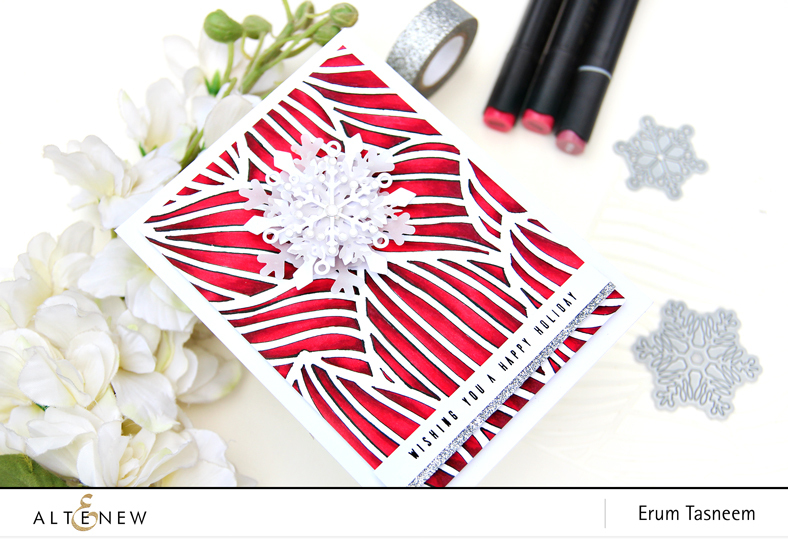 Welcome to DAY 2 of the Holiday Cards Blog Hop by Pinkfresh Studio. 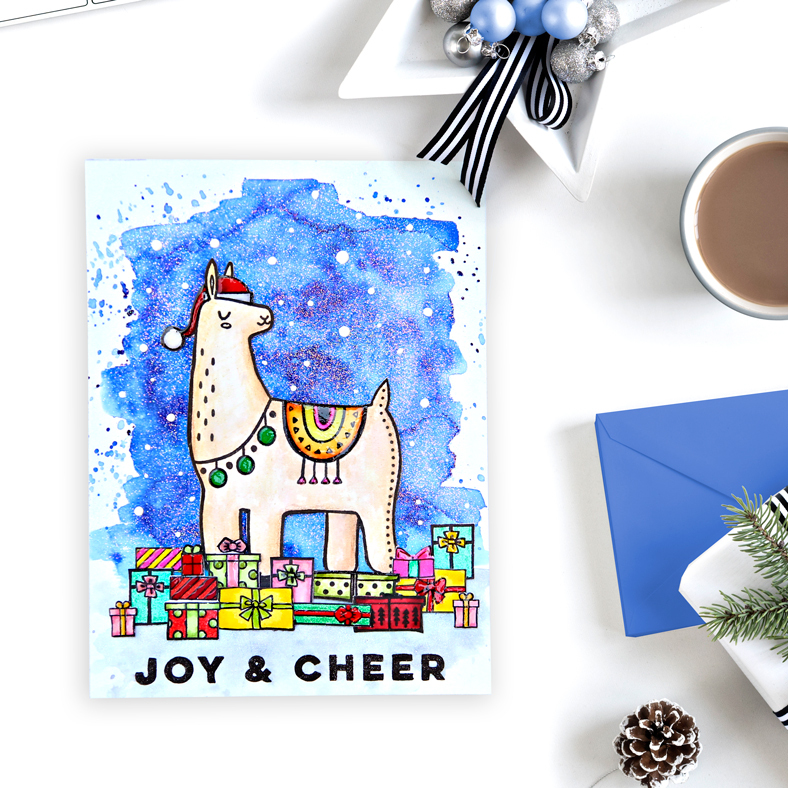 Just the right time to have this hop I say, need that Christmas inspiration and I am sure you will find TONS of inspiration in this two-day event! 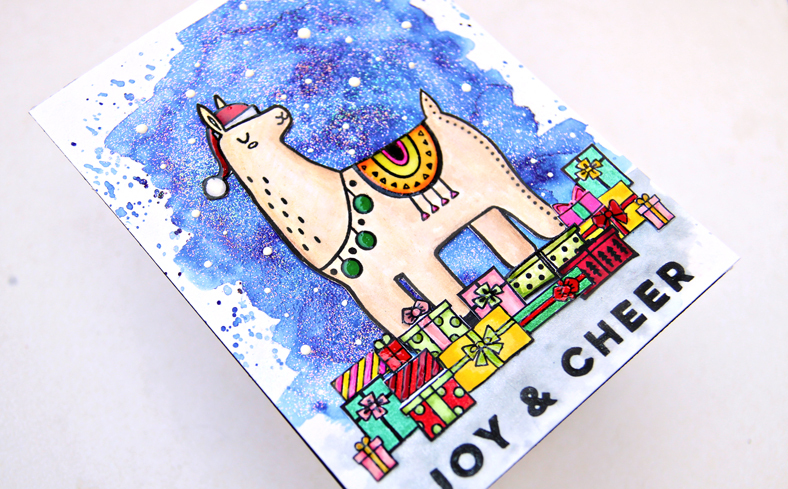 I am using the awesome Festive Llama Stamp and Die Set on my card today! 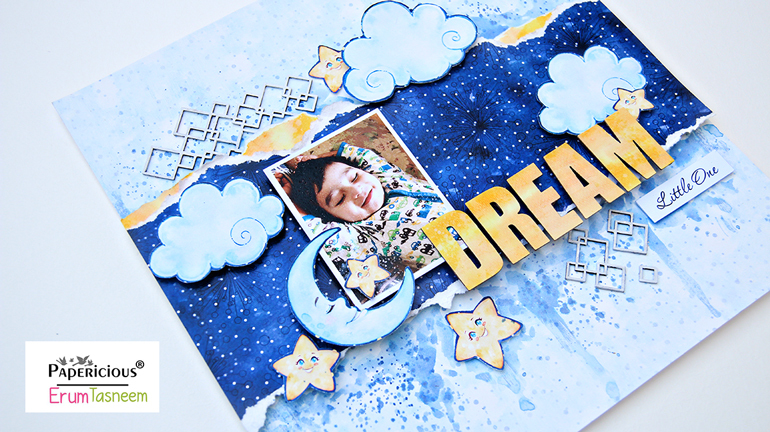 I started by adding a vibrant watercolour background to depict my "sky" with Sapphire Liquid Watercolour. 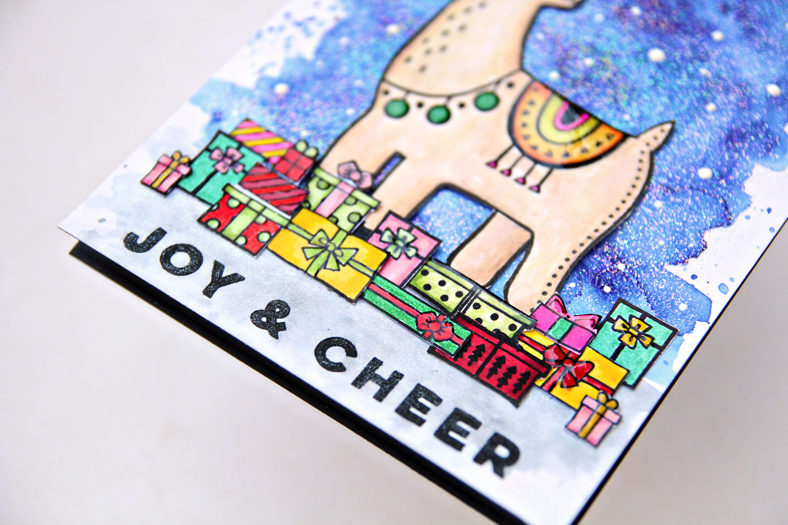 Next, I swiped Versamark Ink pad onto the watercolour background and heat embossed it with a sparkly embossing powder to get that festive feel. 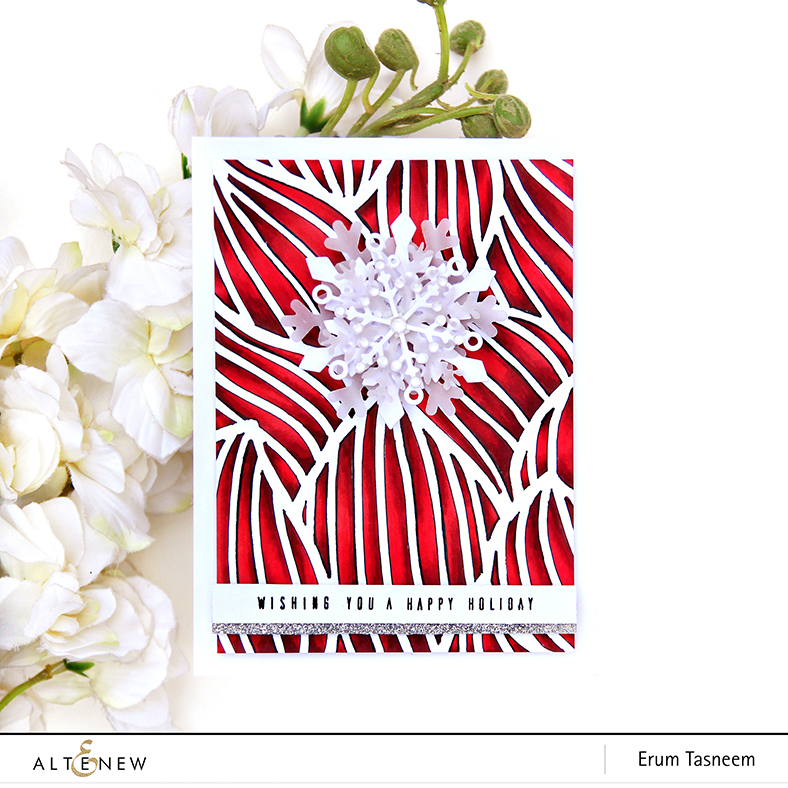 I used white Nuvo dots to add falling snow. I used Crayola markers to colour the images. and then fussy cut all the gifts out. I also added glossy accents to parts of the gifts, looks really nice in person! 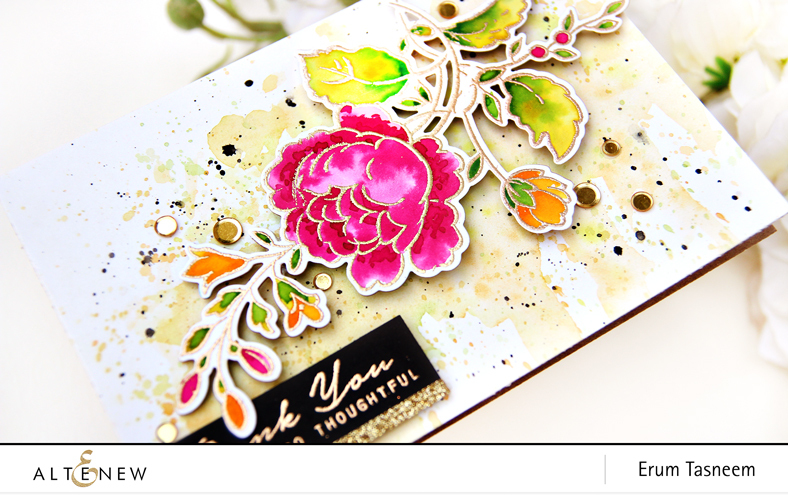 The Pinkfresh Studio blog will be giving away two, holiday stamp bundles on our blog posts. 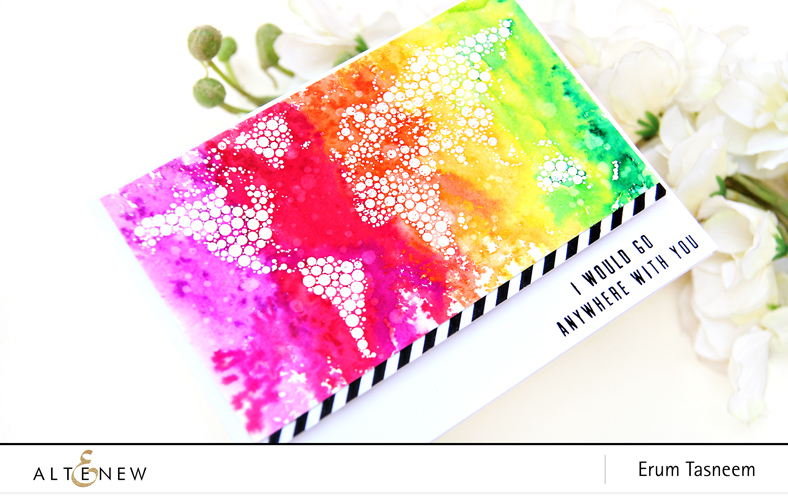 We will be giving away (6) $25 gift cards randomly from all of the blog hop comments each day. That is 12 chances to win over the two days, plus the grand prize bundles on the PFS blog. 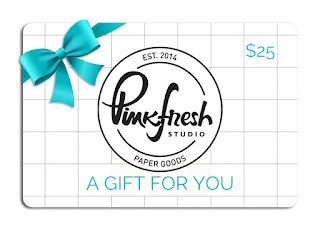 Winners will be posted on Sunday, November 11th by 2pm CST on Pinkfresh Studio's GIVEAWAY PAGE. Please check that page and claim your prize within 2 weeks. Pinkfresh Studio is also giving away a Holiday Vibes Die for free with any purchase (while supplies last). No code required, it will be automatically added to your cart.